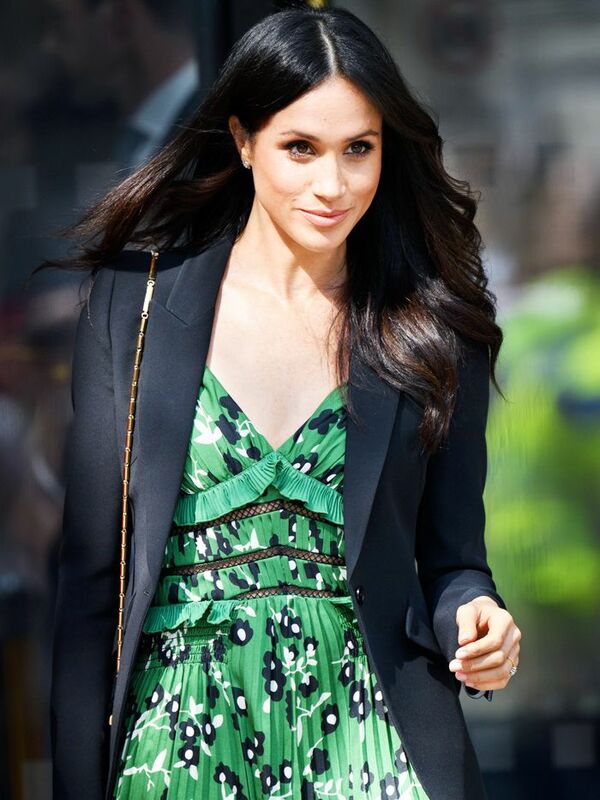 Thanks to Meghan, Harry, Kate and Willliam (aka the new-gen royals), the general public have well and truly fallen back in love with the monarchy and its extended family members. A decade ago, they were very much the out-of-touch aristocracy, but in recent years, they have made serious gains when it comes to updating their image, as they've opened up about mental health, marrying non-royals and generally revealing an altogether more "human" side. This renewed fascination with royal life has also turned the spotlight on the lesser-known, younger royals, such as Lady Amelia Windsor and Lady Kitty Spencer. They have the glamorous sheen of a fancy title, but perhaps less pressure—or rules and regs—when it comes to their sartorial choices. Although these women each possess their own unique sense of style, we've noticed that the floral dress seems to be a recurring favourite among this stylish bunch. Yes, it might not be the most ground-breaking fashion choice, but these women are familiar with event dressing, and clearly, it's a winning formula. Who are we to argue? Style Notes: Lady Alice Manners (left) and Lady Violet Manners (right) show that florals needn't be basic. We particularly love Violet's black Dior gown, which reveals just the right amount of skin. Style Notes: Viscountess Weymouth (who, by the way, we are obsessed with) opts for a more classic Dolce & Gabbana floral print at the Cartier Queen's Cup Final. The ankle-grazing length keeps the look modern while still showing off those fabulous Aquazzura heels. Style Notes: Lady Amelia Windsor looks every bit the fashion icon with this lilac-coloured floral dress with a faux-fur Shrimps coat. Our kind of girl. Style Notes: Princess Beatrice's gothic floral gown ticks the modest box without being frumpy. Style Notes: Lady Kitty Spencer doesn't hold back with this frothy floral number—another beauty from Dolce & Gabbana. Who needs accessories or an OTT hairdo when your gown is this delightful and detailed? Style Notes: Lady Amelia keeps it simple in this flattering floral slip dress and silver heels, creating a more minimalistic approach to a royal-approved look. Style Notes: Another winning look from Princess Beatrice is this tulle midi from our favourite event-dress brand Needle & Thread. We love the addition of the unexpected accessories like this mini box bag and smoking slippers. Style Notes: Princess Eugene nails Ascot style with this elegant dress from Erdem, which is complemented by her minimalistic hat choice. Style Notes: This is the look everyone was talking about at the royal nuptials: simple, elegant yet modern. This is a winning wedding guest formula from Dolce & Gabbana. We love this bold red option with fun, bright florals. You'll fit right into the crew with this stunner. So much detail to admire in this one dress. Perfect for the springtime or summertime. Green is the colour of the season, after all. For those who don't favour bright florals. The colour combination on this is interesting and modern. Next, see the cool new bag that's trending on Instagram.